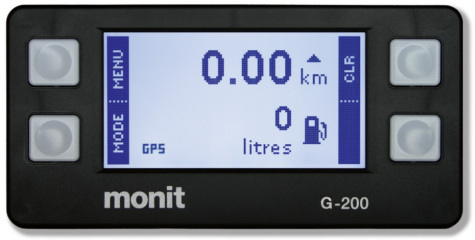 Monit Rally Computers have now released their new GPS enabled range of trip meters, offering customers unprecedented ease-of-use in both installation and functionality. Monit revolutionised the rally and roading trip meter market when they combined careful industrial design with modern electronic innovations to launch a trip meter that was compact, lightweight, and extremely easy-to-use. This great design has been used in the development of the new G-Series GPS Monit trip meter range to produce a product that enhances both your vehicle appearance and your chances of making it onto the podium. The new G-Series Rally Computers use a high powered industrial grade GPS receiver coupled with an external antenna to provide extreme accuracy for the competitor. To guarantee precise operation in all situations Monit have developed the GPS+ system that can combine the signals from the GPS with a traditional wheel speed sensor, providing automatic backup in case of signal loss. 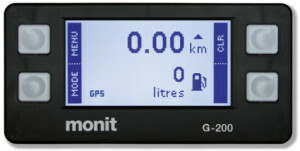 The Monit G-Series Rally Computer is available in two models, The Monit G-100 and Monit G-200. Dimensions for both units are: 116 x 57 x 20 mm. Weight: 100 grams. With its careful selection of essential features, the G-100 model is the perfect entry-level rally computer for professional rally teams. The compact and light-weight design combined with the simple installation afforded by GPS make it easy to fit into any modern or classic rally vehicle. It is also ideal for use in reconnaissance vehicles. The top of the range G-200 model has all the features required for the highest level of competition. The main advantages over the G-100 are the addition of a time-of-day clock, average speed, fuel management system and handy stage recorder. For competitors that demand the most from their equipment the G-200 is the ideal choice. All G-Series rally computers require a suitable GPS antenna to receive the speed and distance signal from the GPS satellites. There are two antennas available to suit different installation requirements. An antenna is not required if GPS functions are not used. 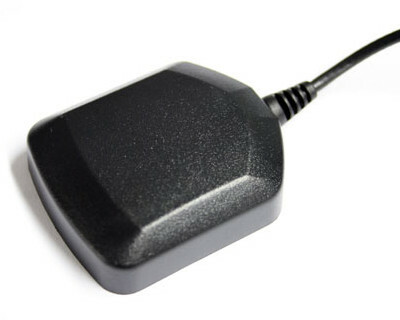 The magnetic mount antenna is a high-sensitivity GPS antenna with a strong magnet built into the base. 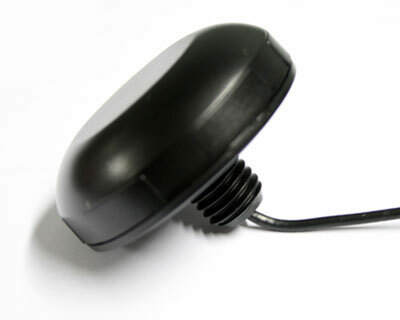 The magnet can be used to clamp the antenna onto the steel roof of a vehicle simplifying installation and removal. For gravel events or high performance vehicles the addition of adhesive tape is recommended to prevent excessive movement. 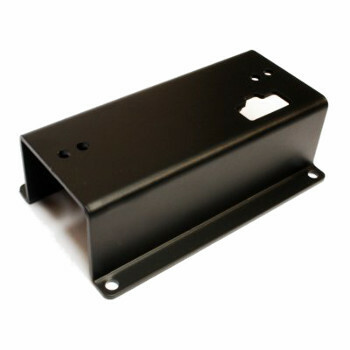 The bulkhead mount antenna is a high-sensitivity GPS antenna with an integrated mounting stud. This can be used to securely fasten the antenna through a vehicle’s roof or to a suitable mounting bracket. The mounting stud and antenna housing are sealed to prevent water ingress if a hole is made in the roof to accommodate the antenna. 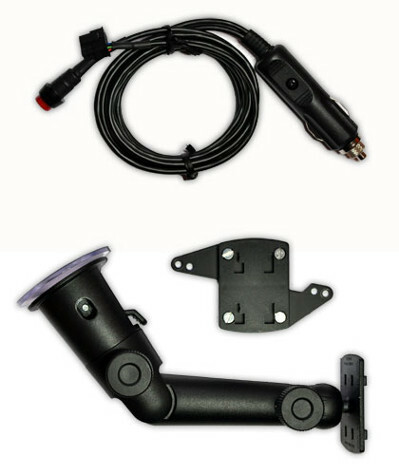 The recce car kit bundles a windscreen suction mount with a custom G-Series wiring loom pre-wired with a cigarette lighter power adaptor and handheld reset switch. When combined with the G-Series’ GPS capabilities, the kit makes temporary installation of a rally computer into any vehicle fast and hassle free. This is ideal for rented or borrowed reconnaissance vehicles where finding a speed signal for a traditional trip meter is not possible. 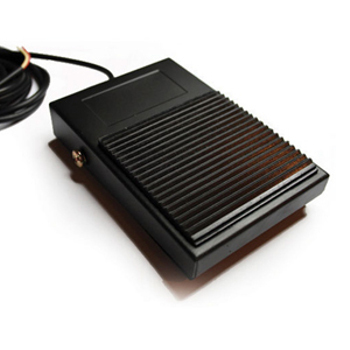 Enhance the functionality of your Monit rally computer with this industrial grade foot pedal. Made from pressed steel and with a rubber grip, this pedal is designed to survive being stamped on in the heat of competition. It can be easily connected to the trip meter’s auxiliary inputs to provide remote reset or other remote control functions. Up to two pedals may be connected to one trip meter. 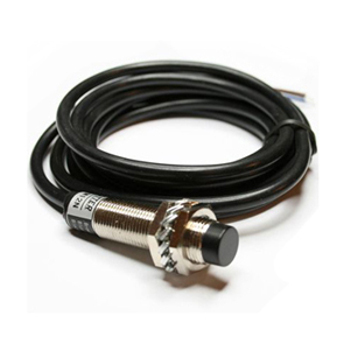 This sensor works by detecting metal protrusions on a wheel hub or drive shaft. 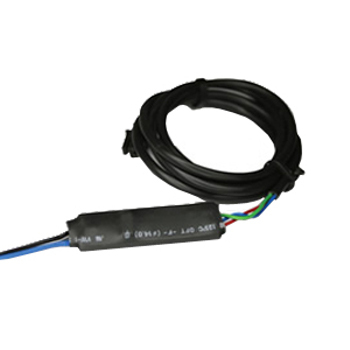 It is suitable for vehicles that do not have an electronic speedometer output, or an existing speed sensor. The high quality water proof sensor is designed to handle the stress of being mounted on a wheel hub or near the transmission system. It connects to the trip meter through a 2m long three wire cable. 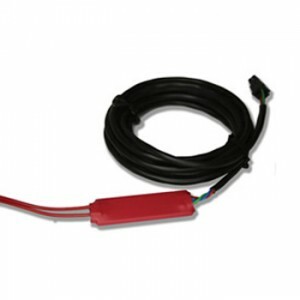 The Monit Speed Sensor Interface allows the use of a factory fitted speed sensor. It will work with most types of speed sensors which produce either an analogue or digital pulse output. A factory fitted speed sensor is usually mounted on a vehicle’s gearbox or differential. 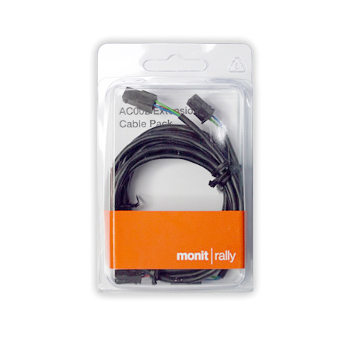 The Monit ABS Sensor Interface takes the signal produced by the vehicle’s ABS Wheel Speed Sensor and converts it into a usable format for the Monit Rally Computer. It will work with most types of two wire sensors which generate an analogue output signal. The new universal door mounting bracket is fabricated from 2mm aluminium and is suitable for attaching to most vehicles’ doors. The bracket is compatible with all Monit trip computers and is finished in a non reflective black coating. The new universal dashboard mounting bracket is fabricated from 2mm aluminium and is suitable for attaching to most vehicles’ dashboards. The bracket is compatible with all Monit trip computers and is finished in a non reflective black coating. The suction mount can be used to temporarily attach a rally computer to the windscreen of a vehicle and is ideal for recce or road survey use. 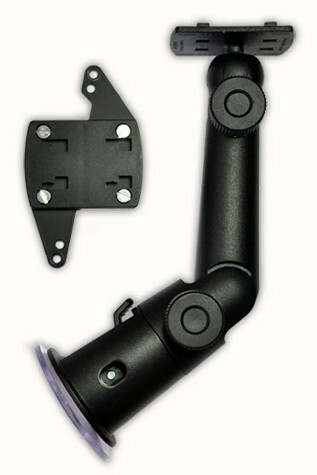 It has a strong suction cup and rigid goose neck to minimise movement when driving over rough terrain. 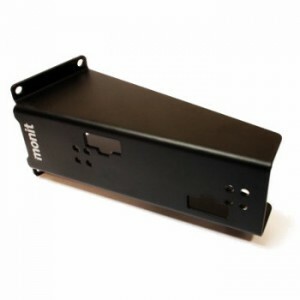 The adapter plate accepts all rally computers in the Monit range.Although the suction mount can withstand a significant amount of vibration, a permanent mounting solution is strongly recommended for competition use.